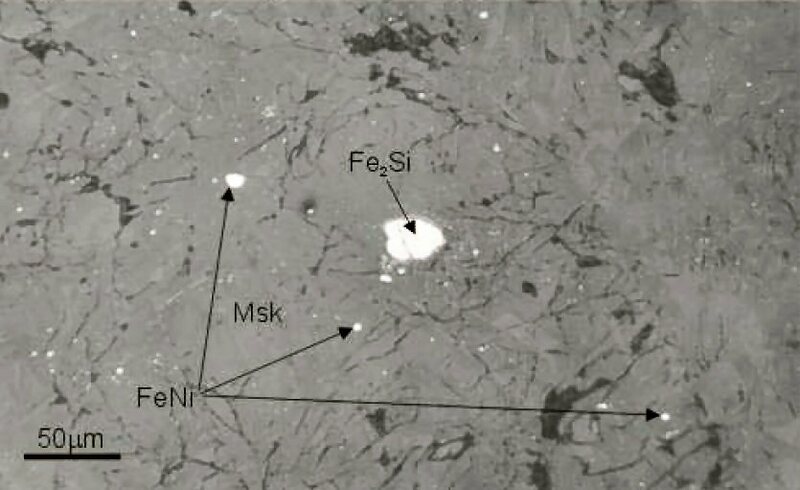 Comments: Reflected-light image of an area in the regolith clast showing distribution of FeNi metal and hapkeite (Fe2Si) metal grains in a feldspathic matrix, Msk, Maskelynite.. (Proc. Nat. Acad. Sci.,101:6848). Location: Dhofar 280 (Dh-280) is a lunar fragmental breccia meteorite found in the Dhofar region of Oman, in April, 2001.